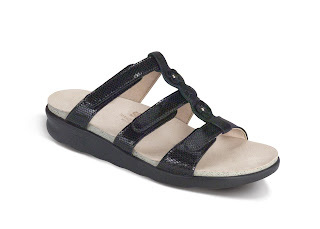 About this same time in 2010 we introduced our customers to Sanibel which was SAS’s newest thong sandal. 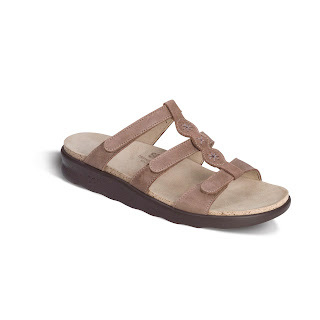 This year we are excited to Introduce NAPLES- SAS’s Newest Slide Style Sandal. 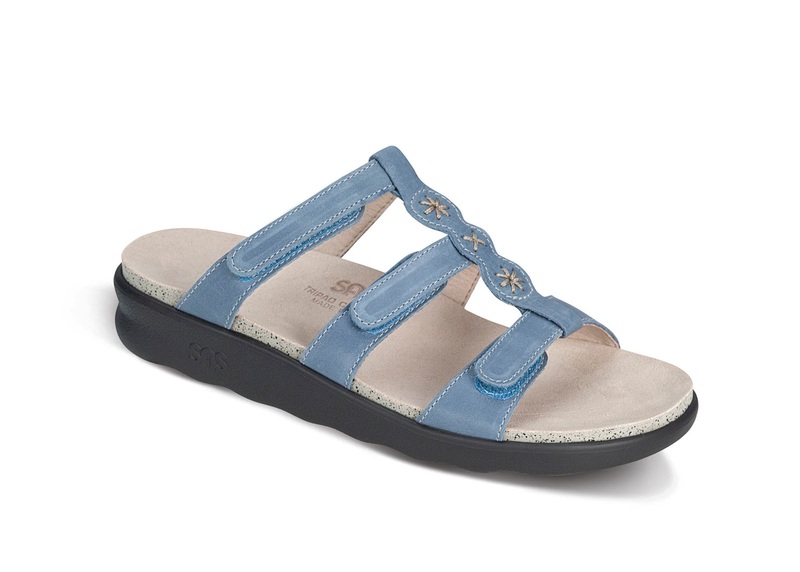 If you like Slip-on Sandals but don’t like the toe strap then NAPLES is for you. With it's padded finest quality soft leather uppers and adjustable velcro straps over the instep it's another example of why SAS Sandals are on top. NAPLES is not just an ordinary sandal. As always, it comes with SAS's finest comfort features. Their All Day Comfort Sole is wide based and filled with millions of air bubbles to cushion every step. The contoured foot bed, multi layered insole, cushioned arch support, and Soft Super Suede foot bed covering add more comfort and support. Like Sanibel NAPLES only come in one width (Medium), but with the adjustability over the instep this sandal should fit most (even my skinny feet).NAPLES will be available in Denim, Praline, Black Snake, and Red Snake. Colder weather is again setting in, but if you are planning on escaping to warmer climates NAPLES will be an excellent choice to take with you - or do like I do which is wear them as house shoes. NAPLES should be arriving in most SAS Stores any day now. You’ve got to try them on.